Balance bikes are known for being a stripped down version of a regular kid’s bike, a bike with less moving parts and less to think about, so why do we put brakes on our Glide Bikes? By allowing developing riders the opportunity to become acquainted with hand brakes before their first pedal bike, we find it helps make the transition to a traditional two wheel bicycle easier. We think kids should focus on balancing before worrying about the brake, but once they’ve mastered the art of balance we think it’s time for the kids to get their hands flexing in preparation for their next bike. Our hand brake doesn’t add anything extra that moves, there are still no gears or chains, the only difference is that once they’ve learned to balance they can learn to brake too! It also saves your child’s shoes from being prematurely worn out and is a safer alternative to dragging your feet across the floor to stop. Brakes makes it even easier to move from balance bike to pedal bike, as it will be an instinctual reaction if your child has already been practicing, instead of something that requires focus and concentration. At Glide Bikes we are dedicated to creating a fun and easy learning experience for you and your child. Some kids will prefer to stop and slow down with their feet instead of using the handbrake, however, once your child goes starts using a pedal bike it will no longer be safe to use their feet for stopping. We want to ensure that your child is set up for an easy, fun and safe transition to their first pedal bike and preparing your child with a handbrake on their balance bike first enables that to happen. When there are less new things to learn there is less stress and more fun! Parents sometimes worry that their kids are going to stop the bike to quick and fall. 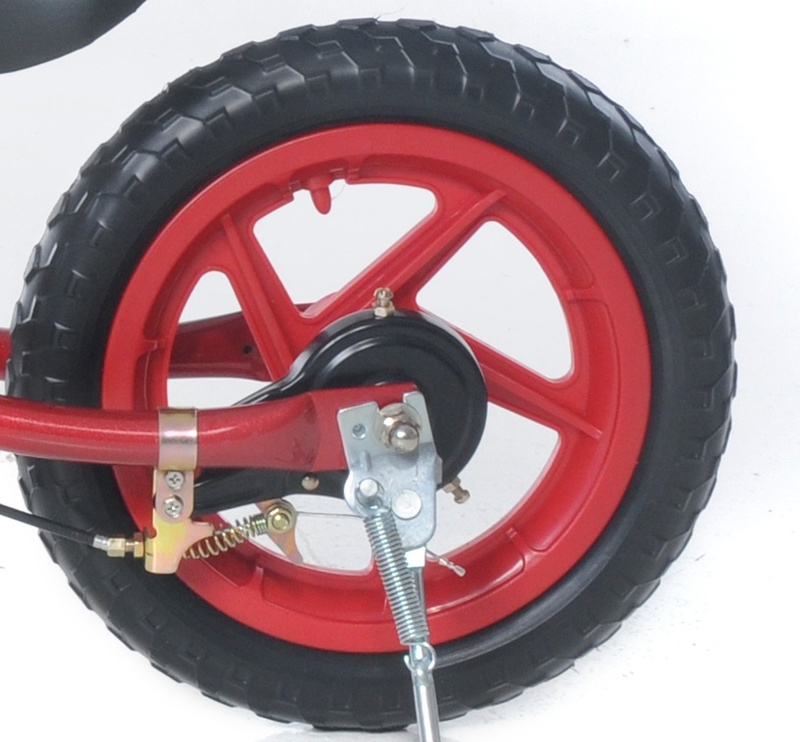 To assure you, the brakes we use on our balance bikes are band brakes and stop in a very controlled manner: not locking up (originally used in 1902 on Star Cycles bicycles they have a proven track record). The reason we use them, is that they are easier for kids to pull, safely mounted in a contained housing, and there is nothing for kids to get hung up on. Ex. A caliper brake, mounted to the frame and exposed. Both our Mini Glider and Go Glider models use this type of brake. They last a long time, with out needing service, and are simple to adjust. In case that need arrises, though, we stock all of the replacement parts. So if you want your kids to have a safe, fun, learning transition from a balance bike with brakes to a bicycle, get them a Glide Bike.